Is the Doctor Who episode “The Rings of Akhaten” already one of the series’ most misunderstood? Almost two years ago, the Doctor urged his companions Amy & Rory not to live up to the title of “Let’s Kill Hitler”, for the vaguely-explained sci-fi reasons that changing history doesn’t always work out for the best. 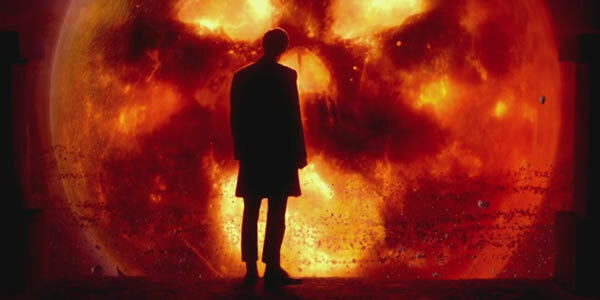 The Doctor defeated the devil before, in “The Impossible Planet” and “The Satan Pit” from Series 2. Here he has no compunctions in also killing god. 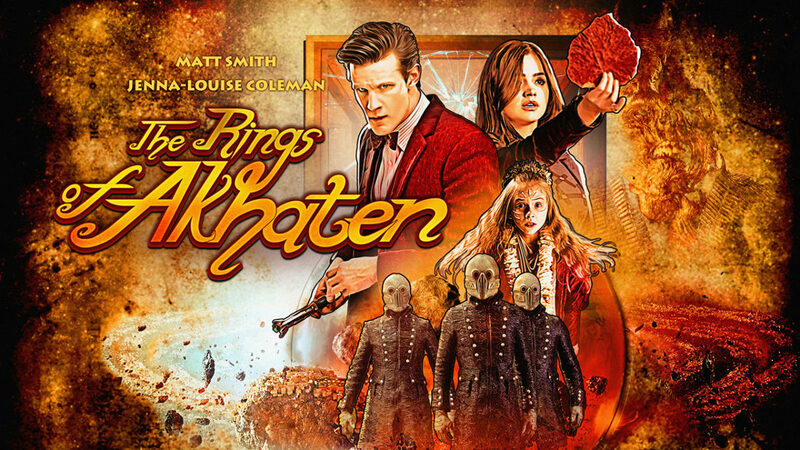 I’ve now listened to three fan podcasts debating the merits of “The Rings of Akhaten”, and was frankly surprised to discover the episode has been met by Doctor Who fandom with ambivalence at best, and outright derision from the rest. I would certainly not try to defend it as an instant classic, but it certainly does not deserve to be counted among the abysmal failures like “Fear Her” and “Last of the Time Lords”. In fact, I would argue it’s worthy of praise for daring to say something potentially very controversial. Perhaps it doesn’t say it very well (as evidenced by the fact that none of the participants in those three podcasts so much as broach the topic), but at least it’s a story that strives to be more than the usual Doctor-defeats-an-alien-invasion routine (not that there’s anything wrong with that routine — as a lifelong fan I love that routine!). Out of all the various opinions voiced by the hosts of Radio Free Skaro, Verity, and Two Minute Time Lord, I align most with Chip of the latter, who was pleased the show still has the potential to be surprising. But everyone, even Chip, failed to even address what I took to be the major takeaway from the episode: the Doctor essentially rescued a civilization from a parasite they worshipped as a god. He freed a society from their self-defeating religion, and they thanked him for it. Writer Neil Cross is famous for the grim BBC series Luther, and his script for Doctor Who was generally much lighter. But “The Rings of Akhaten” was about something very important, in a way that the series does not often attempt. I would classify it broadly in the same league as “Vincent and the Doctor”, where science fiction tropes were employed for a thinly-veiled metaphor of a particular aspect of human existence. Just as “Vincent and the Doctor” used time travel and invisible monsters to explore the topic of depression and suicide, “The Rings of Akhaten” used asteroids, interstellar mopeds, and angry space mummies to make a point about the detrimental effects of religion. After watching the episode, I fully expected the fan conversation to be about how the show overstepped by taking on the negative affects of faith and religion. I expected many to take offense for daring to go there. But instead, it got called “dumb” and “stupid”, and Radio Free Skaro even dubbed it “The Borings of Akhenaten”. I suppose it raises the questions of what people want or expect from Doctor Who, which would seem to be plot, story, and character development. Anything beyond that (such as allegorical explorations of deeper themes like faith and religion) might as well be invisible. A good piece of science fiction ought to excel in both areas, so it seems “The Borings of Akhenaten” falls down on both fronts: none of the podcast hosts thought to mention the topic of religion (imagine talking about “Vincent and the Doctor” without mentioning depression! ), and on the practical side, the plot particulars might not hold up to much scrutiny. But since when has Doctor Who ever been about hard sci-fi and airtight plotting? Any fan that demands that stuff probably ought to be watching Star Trek. I don’t think I’m reaching at all in my interpretation here. This has to be one of the most thinly-veiled metaphors in Doctor Who history. The Doctor (Matt Smith) and Clara (Jenna-Louise Coleman) begin their adventure explicitly discussing the society’s religion. He briefly explains how their belief system works: a giant orb in the sky, known as Grandfather, is worshipped as a vengeful god. A priesthood has long placated it via song, until today. Clara wondrously asks, “Is it true?” For of course, she just rode across space and time to her first alien world, so it would’t be much more of a stretch to ask if, yes, the giant ball of gas in the sky (which the hosts of Verity memorably compared to Charlie Brown’s Great Pumpkin) might actually be a god that demands offerings of precious memories. The Doctor pauses, smiles, and then replies “It’s a nice story”. Again, it’s not subtle: the Doctor is saying that what these people believe is a god is actually just a thing. Many, many times before he’s unmasked the supernatural: the mummies in “Pyramids of Mars” were robots, the ghosts in “The Unquiet Dead” and the devil in “The Satan Pit” were aliens, etc. There is no real supernatural in the Doctor Who universe. I’ve put all of this very broadly to try and keep this post short, but my point is that the episode was far from “dumb”, “stupid” or “boring”. For better or for worse, it took on some complicated questions about religion. It also made me wonder about what it is the Doctor does to the civilizations he rescues. He has a long history of freeing groups from oppression, often leaving at the end of the story having totally and utterly upended the status quo. Here, the Doctor frees a people from their self-destructive religion. It’s not a perfect metaphor for atheism, for in a sense this god is real — not actually a god, but real. Atheists would point to the tyranny of organized religion, which is the work of fellow humans. John Lennon asked in “Imagine” that we consider a world without countries or possessions, and heaven or religion. The alien civilization in “The Rings of Akhaten” has an economy that derives directly from their religion: just as their ersatz god feeds upon emotional memories, they pay for goods and services with objects imbued with sentimental value. The Doctor destroys both of these things: not only their god but also the very meaning behind their currency. This alien culture, as far as we see it in this episode, is defined by only two things: its religion and its commerce. All we see of them is a marketplace and a religious order. So, in rescuing them, the Doctor takes away everything that we know about them. And they’re happy for it. Surely that’s the interesting thing about this episode, right? Actually one of my favourite episodes (didn’t it get the most hits on BBC iPlayer?). I loved the vocal music (Who does need more vocal music). This episodes illustrates a religion based on fear. They were so afraid of the old god that they fed him memories to keep him asleep (needed to stay dreaming?). In fact don’t forget the Silence, a religious order/movement based on fear of the Doctor (who they seem to regard as some sort of demigod). Instead of no religion/belief (which technically I don’t think is possible) how about a religion based on love instead of fear?